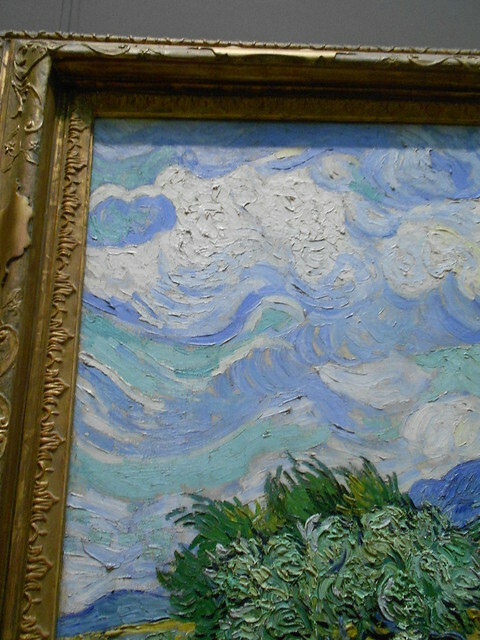 When I was at the Metropolitan Museum of Art in New York City, I was struck by how wonderfully magical Van Gogh would paint his skies. Each one was a mini-masterpiece and I enjoyed getting up close to view them. Wheat Field with Cypresses, 1889. 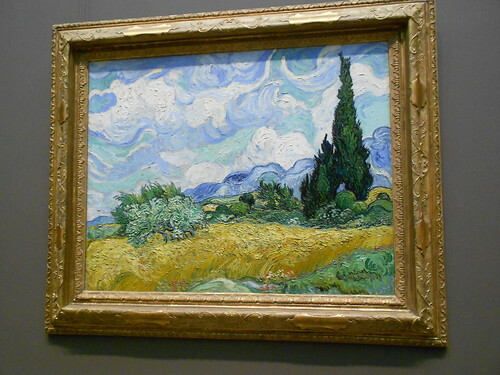 Close up of the sky – Wheat Field with Cypresses. 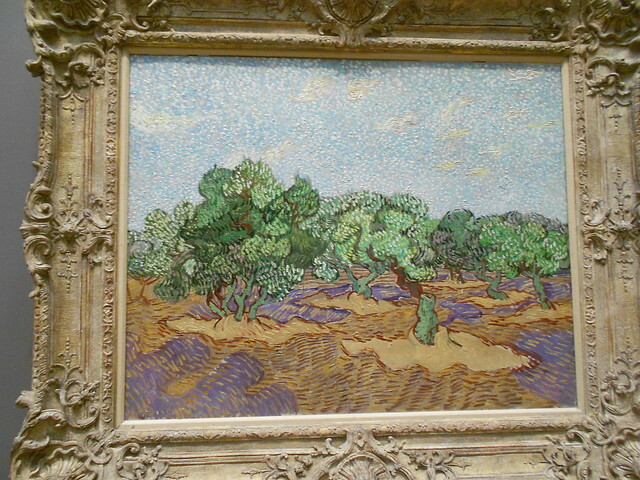 Close up of the sky – Olive Trees. Can you see what I mean? Each sky is different and yet a perfect match to the mood of the painting. I became a little obsessed with taking note of the skies in his paintings. So, this week we are taking a closer look with images. 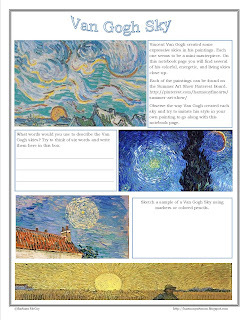 I created a notebook page with some ideas for carefully observing his Van Gogh Sky. You can find the paintings included on the notebook page on the Summer Art Show Pinterest board. Here is one of the paintings you will view and then look closely at the sky. All of our Summer Art Study paintings and notebook pages are pinned on my Summer Art Show Pinterest Board. 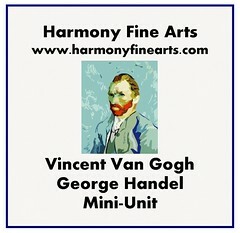 Van Gogh has always been my favorite…since I was a little girl! Thank you! Thanks for posting in the carnival it’s nice to see a site devoted to art. 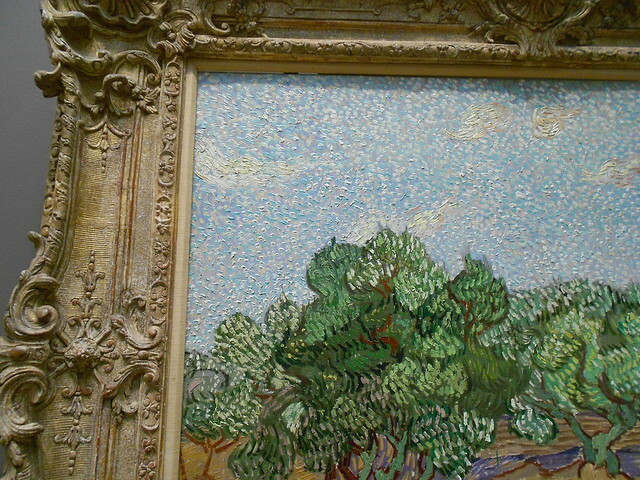 When the Van Gogh exhibit was in my city I was fascinated by the thickness of the paint and the small strokes that gave the paintings an almost 3-dimensional depth. I could just stare at his paintings and be mesmerized. I am not familiar with any of these works. Those skies really are beautiful! Thank you for sharing with us the notebooking page you created. I pinned it for future use!